Not so long ago, when Petro Poroshenko visited Saudi Arabia, there was signed an important document for the domestic agricultural industry. The memorandum on economic cooperation that implies close investment and technological cooperation between two countries in the production of plant-based foods and development of subsidiaries has become the most discussed document among analysts. Maxim Martynyuk was the representative of Ukraine during the talks. The Deputy Minister of Agrarian Policy and Food spoke in details about the memorandum and positive aspects for domestic business representatives. According to him, countries of the Persian Gulf are one of the most promising partners. Gulf Cooperation Council is a powerful political and economic conglomerate that offers a market of 57 million people, not including millions of tourists and temporary workers. At the moment, the Kingdom of Saudi Arabia (the KSA) is one of the largest importers of products in the whole region of Central Asia. The KSA is a country with severe climate conditions that do not allow effective producing enough food to feed a multimillion population. The government policy offers an active financial and legislative help to enterprises which cultivate food and breed livestock. It is the meat industry where the manufacturers in the KSA have succeeded, unlike the agricultural segment. The experiments have shown disappointing conclusions: Saudi Arabia has to purchase grain, fodder and vegetable foods abroad. The government program on providing the country with food and raw materials also involves financing foreign companies for the development of agriculture and increasing the number of products and their quality. For its part, the KSA supplied Ukraine with tobacco for $ 25 thousand. In the first half of 2017, Saudi Arabia sold more than $ 300 million worth of goods. The KSA mainly purchases raw materials. This is less profitable for Ukraine than selling finished goods because, in the near future, the key point should be changed to selling ready-to-eat products processed at Ukrainian factories. The additional cost will increase profits and simplify the transportation process, storage and sale of raw materials. The investments that will be transferred to the KSA under the memorandum terms can be allocated to build large facilities for the finished goods production. For instance, during the first three months of 2017 meat supplies reached the sum of more than $ 10 million. The promising are the supplies of dairy products, organic products and other types of food. As for the material resources, the investments will also be allocated to the build logistics facilities, such as granaries, elevators, port warehouses and others. The memorandum implies its own tax regulations and investment strategies. Practically, it is a kind of counseling of one state to another which is aimed at regulating the economy in such a way when the cooperation of the countries is profitable to both parties. No doubts that the economic climate of Ukraine becomes more entrepreneur-friendly with each year. However, it is still a complex and complicated system that does not forgive mistakes. 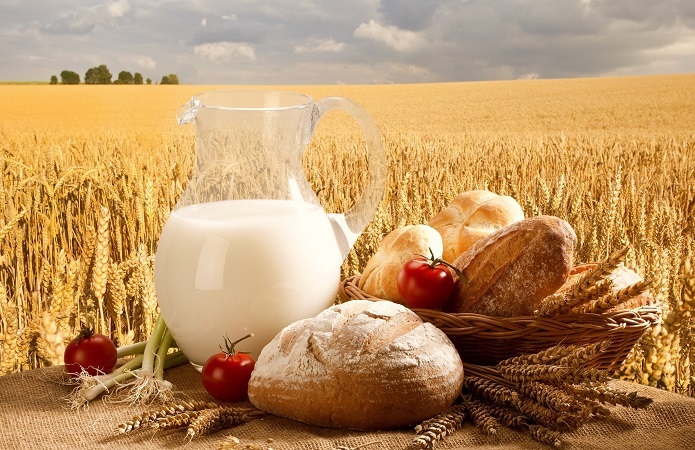 Despite this, favorable conditions for cooperation with other countries and teamwork of experienced analysts increase chances of developing the agrarian industry and lead Ukraine to enter the global market by supplying different kinds and types of finished products.